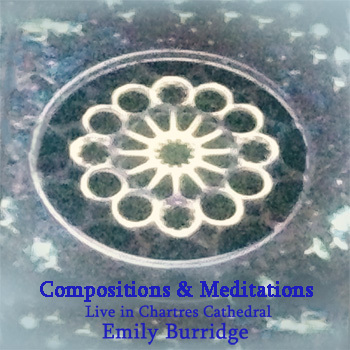 "Emily Burridge has produced a unique two-album set with "Out of the Blue & Into the Amazon".....A very unusual and distinctive creation"
"Emily set up her own studio in the early 1990's and began a fascination with the Amazon. This two CD reflects this interest - one is a collection of her own subtle compositions, while the second is a soundtrack for the dawn-to-dusk daily life of a South American Indian tribe. Deep, fascinating and unique"
This collection of pieces are the first in Emily's 'Mellow cello music' and have a meditative and relaxing effect. Through adopting modern looping and sampling technology the relaxing effect of solo cello is accentuated with her hypnotic harmonious sequences and overriding sonorous melodies. Working together with in-house engineer Richard Cooper "Out of the Blue" was recorded in British Grove Studios, Chiswick, London UK April 20th 2010. The album commences with "Salutation" - a greeting, and then the images and pace of a journey ensue with "Out of the Blue". "Globalisation" is a response to the positive and negative associations of the word relating to progress in the world. "A Call to Peace" - is an appeal to all those involved with the decision for the act of war. "Andiamo" - (Let’s get going) is a sensual and joyful dance and reflects influences from South American music. These pieces form part of the concert program "Bach & Out of the Blue"
"Out of the Blue" is sold as a boxed double CD "Out of the Blue & Into the Amazon"